Losail International Circuit is a motor racing circuit located just outside in the town of Lusail, north of Doha, Qatar. The track is 5.380 km in length, with a main straight of just over a kilometre at 1,068 metres. It is surrounded by artificial grass to stop the sand encroaching on the track. It happens to be somewhat similar to the Bahrain International Circuit in Sakhir. 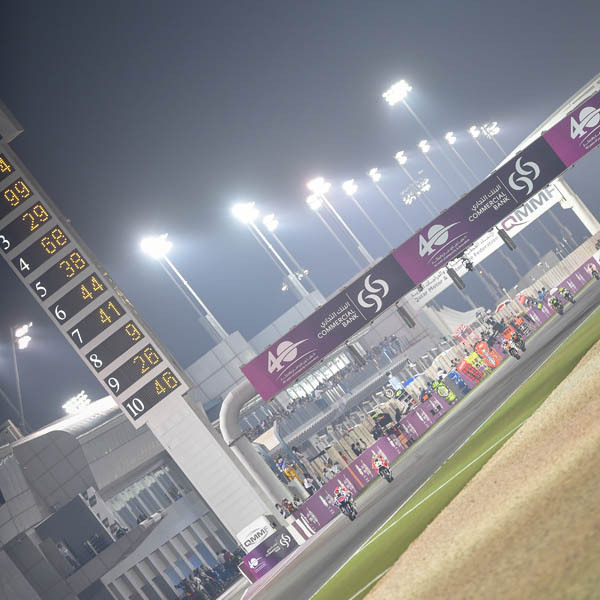 In 2007, Losail added permanent outdoor lighting for night races. At the time, the lighting of the Losail Circuit by Musco Lighting was the largest permanent venue sports lighting project in the world. The first night race in MotoGP history was the Commercialbank Grand Prix of Qatar in March 2008.